There are a number of spice plantations in Goa that are open to tourists, and visits make a great day excursion from the beaches of Goa. Tours are fairly short but informative, and provide an insight into the medicinal and culinary properties of commonly used Indian spices. A lunch is usually provided on a banana-leaf plate at the end of the tour, and there is a chance to buy various spices and herbal oils from knowledgeable staff. You will usually see an elephant or two at the plantation, tourists can buy short rides or partake in a 'power shower' where they are doused in water from the elephant's trunk! Where Are The Spice Plantations In Goa? The three main spice plantations in Goa that are open to visitors lie in fairly close proximity to the busy, inland town of Ponda, with two to the east and one to the north. Travelling east from Ponda along the NH-4 Highway will take you to the Sahakari Spice Farm (1km from town) and the Pascoal Spice Farm (15 minutes drive from town). 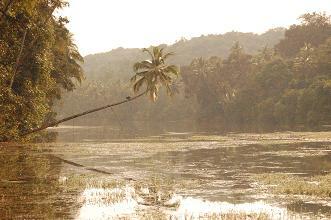 To the north of Ponda, and more easily accessible if you are staying in north Goa is the Savoi Spice Plantation. Many package holidays include a spice plantation tour as one of their excursions, and several travel agents in major tourist areas such as Panjim or Calangute offer all inclusive tours, sometimes combining the plantation visit with a temple visit. The cheapest way to visit the spice farms is by organising your own transport, and buying the tour on arrival (usually around R.400 per head). Taxis and rickshaws from all major tourist destinations will take you to and from the spice farms, but if you are on a tight budget, try getting the bus to Ponda (one an hour from Panjim or Margao) and getting a rickshaw for the remaining distance. What Can I See At The Spice Plantations? Tours around the grounds of the spice plantations last around one hour, during which time an informative guide will show you various fruits, spices and herbs cultivated around the farm. Visitors will learn about spices such as cardamom, pepper, cinnamon, tumeric and chilli, as well as native Goan fruits such as the jackfruit, mango, banana, pineapple and breadfruit. The tour usually culminates with a demonstration of areca/betel nut harvesting, where the harvesters climb among the tree tops, cutting down the nuts with a machete. 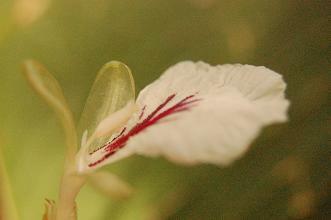 Cashew feni (Goa's famous tipple) is produced in an organic distillery at the Saharkari Spice Farm. The Savoi Plantation is open for day and night tours, and has a few accommodation options available within the grounds. A filling, thali-style lunch or dinner is served after the tour (included in the tour price), and visitors are given a chance to stock up on spices, oils and souvenirs. Away from the breeze at the coast, inland Goa can feel very hot and humid, so I'd recommend taking plenty of drinking water (though of course, you can buy it there), and wearing light, loose clothing. A small notebook might help you remember some of the details of the tour, and you'll regret it if you don't bring a camera! Explore some more with our list of inland Goa attractions, including the dramatic Dudhsagar Falls, the sensually stimulating market town of Mapusa or the atmospheric ruin of Redi Fort.